If you follow me over on Instagram, you may have seen a couple of posts over the past few weeks about my fence. It’s been a source of frustration and more than a few tears over the past month. First, a bit of back story. 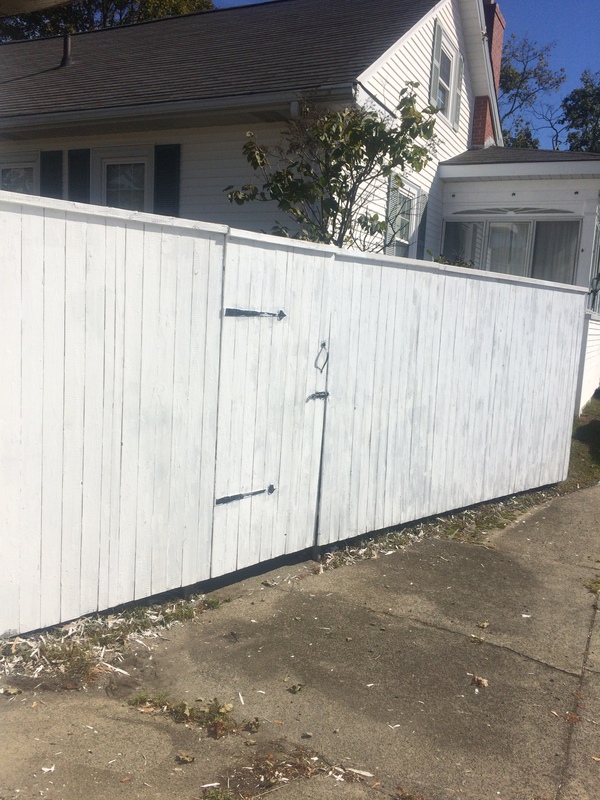 I first painted this fence with my Dad on Columbus Day weekend 2009. It’s a pretty vivid memory, so much that I recall even what I wore ( gray long sleeve San Francisco t-shirt and brown work pants). It was just my Dad and I who did it together- I’m sure my then-fiance was off traveling somewhere for the weekend or something. I remember it because we talked about a ton of things and because we both complained about how painting a fence seemed like a thankless task. When the fence started to peel over a year ago, I did NOT want to do it again. I think there should be some homeowner rule that if you do a project once, you shouldn’t have to do it again. I even priced out getting the fence done by someone, but because of humidity and schedules last summer, it never got done. The wet winter and fire next door to our house this past April helped to peel a lot of the paint, so much that it was definitely looking BAD by the start of the summer. I knew it had to be done and again I delayed for various reasons- weather, busy schedules, and so on. A few weeks ago I found myself with a relatively free Sunday and got to scraping. But it was hot and I was mad to have to do it again. Doing it brought so many thoughts of my Dad and doing house projects with him back and a flood of emotions. I didn’t get very far and ended up a crying mess. 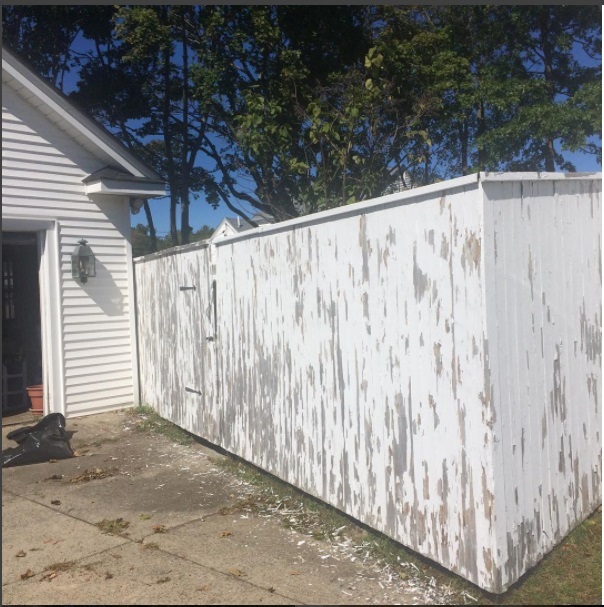 This weekend, I finally got my act together and finished scraping one side, I took it upon myself to get the rest of the supplies I needed for painting. Thanks to a few good podcasts and being stranded at home without a car while Q had dental work done, I got the lion’s share of the fence done. It still needs another coat, and I didn’t paint the adjacent side, but the lesson here is an evergreen one- the things you put off usually don’t take as long as you anticipate once you finally get them done. Working on the fence I was thinking a lot about my Dad and how he often told me that often it was his father, my Grandpa, who was the one who pushed him to get house projects done. I miss the time we spent doing projects around the house together, though just as it was with his father, my Dad was the one who motivated me to get things done around the house. That makes my home filled with memories of things we did together (or things he just did for me) for which I am eternally grateful. It also makes me realize that, in the future, condo living is right for me! I love how your fence holds connections and memories of your Dad. Sometimes it’s all about getting started (I hear you on that one).